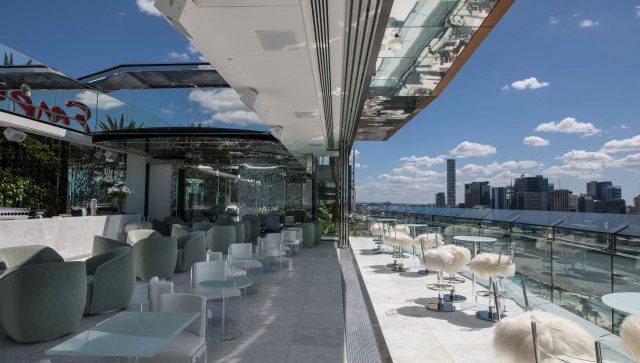 The rooftop bar and dining space boasts custom design features and sweeping views across Brisbane. The newly opened Emporium Hotel South Bank has revealed its rooftop bar and dining venue, which boasts impressive views across the Brisbane River. 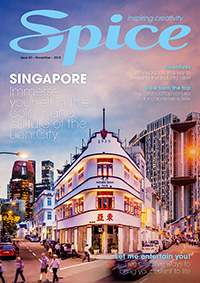 The space, known as The Terrace, is now open to hotel guests and residents and will open to the public on 3 October. Located on the 21st floor of the hotel, The Terrace features white back-lit onyx floor tiles with custom light mapping and a 13-metre white back-lit onyx bar. Floor-to-ceiling glass doors open onto an expansive balcony, plus two retractable roofs allow for full, partial or no exposure to the elements. While The Terrace is not available for exclusive use, partial use of the venue will be on offer. The retractable roofs allow the venue to be transformed. 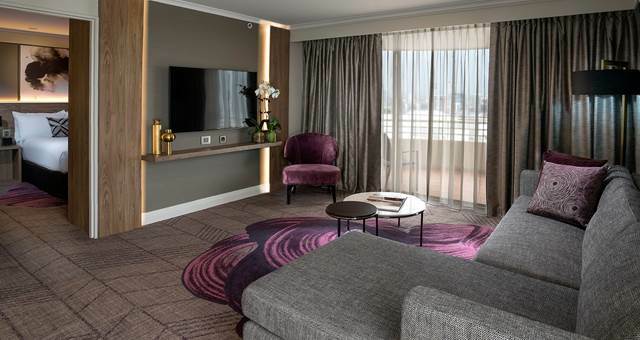 “From the moment you arrive, you are completely captivated by the extraordinary view and design aesthetic,” says Emporium Hotel’s Charles Martin. 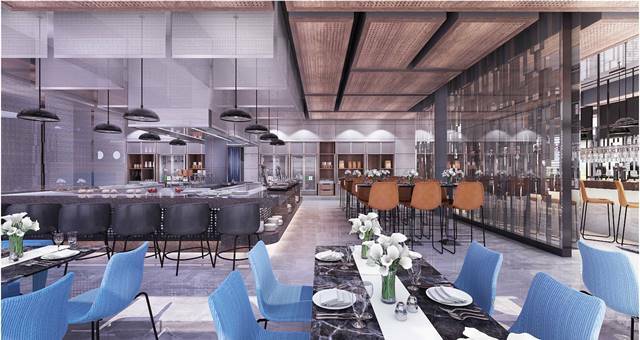 Executive chef Chris Norman has developed an all-day dining menu, catering for breakfast through to substantial plates and late night snacks. “You only have to take one step into this incredible space to be immediately inspired, from the beautiful colour palette to the open-air ceiling and incredible views that reach all the way out to the sand dunes of Moreton Island,” says Norman. Located on the 21st floor, The Terrace is positioned next to the hotel’s infinity pool. An extensive drinks menu is also on offer, featuring classic and signature cocktails plus a wide range of premium local and international wines and spirits. Hotel guests can also enjoy the adjacent 23-metre infinity-edge pool that boasts the same sweeping city and river views.